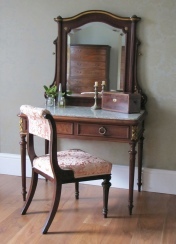 Right now, furnishing your house with antiques can be a cheaper than buying new, mdf, flat pack, furniture. 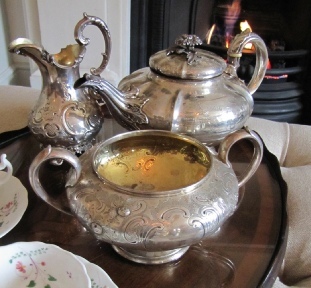 Antiques retain value, and in some cases will increase in value, are usually of lasting quality and have better green credentials than any other furnishing alternative. I can help you take advantage of this by advising, sourcing, and negotiating the very best deal on your behalf. I will also handle organising any restoration, alteration and delivery required post sale. Unlike all other antiques buyers, I operate on a fixed daily rate designed specifically to avoid the inherent conflict of interest that occurs in a commission based fee structure. I would be delighted to come to your home to talk about your furnishing and decoration requirements, and how antiques could be used to best advantage whether it is for a whole house, a room or just a few pieces. After this I would provide a schedule of what I could achieved on your behalf within a range of budgets. 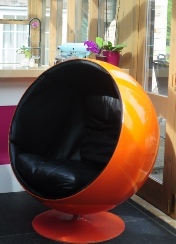 We had wanted an Eero Aarnio Ball chair for a long time – when we commissioned Elizabeth to find one she had it delivered within a week, and for less money than we expected to spend! Our house now looks amazing and our guests always ask “How did find the perfect furniture? !” I would have no hesitation in recommending Elizabeth to anyone.